Ancient Jerusalem is an interesting irony of history blended into modern life. 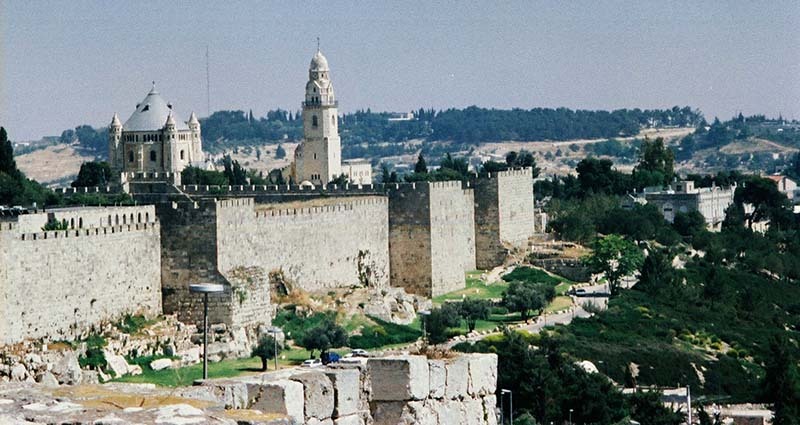 The turmoil of past centuries and millennia still exists behind these walls; old Jerusalem is divided into the Jewish Quarter, the Armenian Quarter, the Muslim Quarter and the Christian Quarter, and prejudice is so thick that only tourists can walk freely from one quarter to another. Jesus, I too am not willing to let You purify me totally. I still “kill” others with my prejudices, with my angry words, with my curses, with my attitude that I am better than they are. Forgive me. Oh, forgive me! Help me to change! Amen!